During my 40-year New York City Police Department career, I held nearly every rank and was detached to run large and troubled investigative divisions of two major city and state agencies. Since retiring from the department, I have taught college courses in criminal justice and consulted or testified about police matters for such clients as Puerto Rico, the District of Columbia, New York City, Newark, N.J., Chicago, the U.S. Justice and State departments, and victims of police misconduct. The controversy over Governor Palin's treatment of her former brother-in-law, Alaska State Trooper Michael Wooten, and her dismissal of former state commissioner of Public Safety Walter Monegan has led me to look at the matter as if I had been retained by a client to do so. I have therefore examined the full public record of the Wooten and Monegan cases, including the Wooten investigative files and the recently issued Alaska Legislative Council report that charged Governor Palin with an ethics violation for her role in the dismissal of Monegan. My conclusion is that the Wooten and Monegan matters reveal an Alaska scandal, but one very different from what has been reported by the national press. The scandal - and it is a serious one - involves the conduct of the managers of Alaska's police agencies and the political officials who have sought to defend them and attack Governor Palin. The story begins with Wooten's probationary term as an Alaska State Trooper, when he was found guilty of using official agency reports for personal reasons - a serious charge that in a well-run police agency would have led to an extended probation at the very least. It didn't, and Wooten was routinely granted full civil service status after his first year. During his next three years, Wooten committed an astonishing six additional acts of misconduct, unrelated to Palin family complaints, for which he received written admonitions and no meaningful punishment. The matter can be simply stated that any department that treats seven findings of misconduct during the first few years of a police officer's career by doing little more than creating a papered and ignored personnel file can be categorically defined as recklessly managed. Violated basic police investigative procedures by advising Wooten that he was under investigation before the complainant or suggested witnesses were interviewed. Dismissed the drug charge on the basis of Wooten's self-provided lab report that his testosterone levels were normal, and made no apparent effort to find the "blue pill" supplier Wooten was alleged to patronize nor ordered any independent lab tests even for the steroid use allegation that Wooten's report did not negate. Disbelieved credible witnesses who alleged that Wooten was observed drinking in his patrol vehicle. Ignored allegations of Wooten's alcohol and anger management problems, for which abundant evidence existed. Accepted Wooten's excuse that he did not know it was a crime to use another's hunting license. Faced with charges of an investigative whitewash, the director of the Alaska State Troopers conducted her own investigation and, after yet another five months, issued her findings. Her report failed to take any note of the death threat charge that the investigator had sustained or the allegations of Wooten's drinking and violence. Amazingly, it accepted without comment the investigator's dismissal of the drug use charges. Wooten's seven prior misconduct charges needed to be taken into account in assessing his overall fitness and found that Wooten's entire record demonstrated "a serious and concentrated pattern of unacceptable and at times illegal conduct occurring over a lengthy period." Wooten's Taser use on a minor "demonstrated extremely poor judgment and a conscience [sic] choice...[of a] very serious in nature...to violate the department's standards of conduct." He was a departmental Taser instructor "well trained in the...risks associated with use of the weapon on a child." Wooten had consumed alcoholic beverages while operating his police vehicle, which "not only exposed the Department to liability, but further demonstrates your lack of judgment,...lack of good character,...disregard for law...and a profound disrespect for [your] responsibilities." Wooten committed the crime of unlicensed hunting, which was "exponentially exacerbate[d]" by the fact that he was a wildlife crimes investigator when he did so. She found "no question" of Wooten's knowing commission of a crime and reported that Wooten "finally did admit that [his] conduct was illegal." She concluded with a remarkable finding that damned her department far more than it did Wooten himself: "It is nearly certain that a civilian investigated under similar circumstances would have received criminal sanction." Despite those findings and the director's statement that Wooten's conduct "will not be tolerated," she merely reassigned him from the Wildlife Investigations Unit, warned him of dismissal if he repeated his behaviors and imposed an indefensibly inadequate 10-day suspension. Worse still, and in textbook demonstration of the department's managerial dysfunction, the director responded to union pressure by reducing the suspension to five days. Given the department's record in the Wooten case, tragic police misconduct cases have predictably occurred. Thus, the state has paid large liability sums in the contemporaneous cases of an officer who was promoted after a jury found him guilty of torturing a suspect with his Taser, another with a prior record of undisciplined violence who remained unpunished even after wrongfully killing a disabled suspect deemed unthreatening by his partner and yet another who committed five rapes after the department failed to investigate harassment complaints of one of his victims. Further, the indefensible double standard protection given Wooten for conduct "nearly certain" to trigger criminal prosecutions against members of the public apparently remains the department's norm. Recently asked how he handled trooper hunting violations like Wooten's, the director of the Wildlife Troopers Division said: "[M]ore often than not it goes into what we call an administrative inquiry, and that's how the discipline is handled." Even more revealing and damning has been former commissioner Monegan's definition of the Palin family complaints as acts of harassment against Wooten, and his stated belief that his primary obligation in handling the case was to protect departmental morale. He said: "My job was to provide passion and support to 900 people - almost 900 people - in the Department of Public Safety, and one of them - who included Trooper Wooten - he was an irritant to her [Governor Palin ]." The statement alone justifies Monegan's dismissal, both for its clear indifference to the department's management failings and its even less defensible failure to understand that Alaska's good police officers do not feel "support[ed ]" by widespread tolerance to the rogue conduct of officers like Wooten. The recently issued Alaska Legislative Council report is yet another whitewash by state officials and offers further evidence of the state's continuing refusal to accept the critical need for structural reform of its police agencies and the performance of their managers. The report found that Governor Palin had grounds to fire Monegan for reasons other than his refusal to dismiss Wooten and further found that her action towards Monegan "was a proper and lawful exercise of her constitutional and statutory authority to hire and fire executive branch department heads." Despite those determinations, the report made the catch-22 finding that the governor had "violated her...public trust" because her involvement in the Wooten case was an "effort to benefit a personal...interest through official action." The report's finding is thus that Governor Palin should not have taken admittedly proper action against a police administrator who failed to reform a department that, among other things, excused repeated acts of admittedly intolerable officer conduct - including an act that would have been "nearly certain" to lead to criminal prosecution had it been committed by a civilian. Wooten's conduct clearly merited his dismissal, and his case is among the most poorly handled disciplinary matters I have ever encountered. Contrary to the Legislative Council report, Wooten and Monegan hardly merit immunity because their inexcusable conduct partially related to Governor Palin's family. In fact, the governor's opposition to Alaska's police misconduct and mismanagement and her efforts to deal with the state's "good old boy" police culture greatly served its citizens and its honorable police officers. 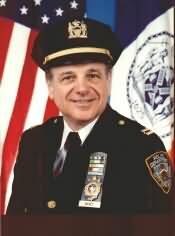 Edward Mamet is a retired New York City Police Department Captain of Detectives with 40 years experience, Captain Mamet is an Expert in investigations, tactics, operations, conduct, training, procedures, use of force, high-speed chases and other forms of police liability, as well as security matters.